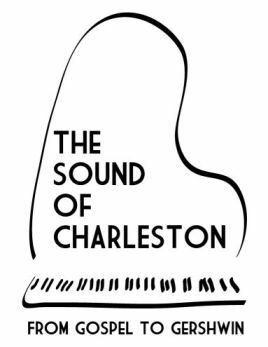 A new production for us as we help present The Sound of Charleston. Hear the sound that defines this most charming and historic of cities—jazz, gospel, Gershwin, Gullah, spirituals, Civil War song and colonial era classics from Charleston’s Golden Age—beautiful music in historic, sacred spaces. This fall series of concerts will run from January 26 through June 11. Presented in association with Charleston Musical Heritage Productions. The Drowsy Chaperone, a co-production with the Village Repertory Company, is the latest in a long series of musical theatre collaborations that have included Into the Woods, A Little Night Music, She Loves Me, Urinetown: The Musical, and Gypsy. This Tony award winning musical comedy hit all begins when a diehard musical fan plays his favorite cast album, a 1928 smash hit called The Drowsy Chaperone and the show magically bursts to life. The audience is instantly immersed in the glamorous, hilarious tale of a celebrity bride and her uproarious wedding day, complete with thrills and surprises that take both the cast and the audience soaring into the rafters. The show runs January 21–February 12, 2011 at the Village Playhouse in Mt. Pleasant. The phenomenal hit by “phenomenal woman” returns for one night only in a special performance as part of the Kiawah Arts Council series. 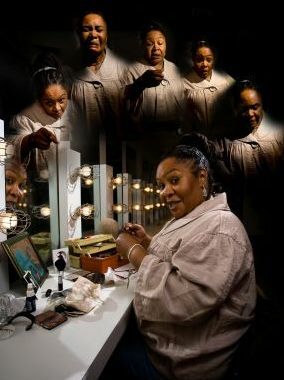 Written and performed by Joy Vandervort-Cobb, one of the Southeast’s most creative, comedic talents, it is an autobiographical piece so universal that reviewers hailed it as “magic” and “sure to satisfy,” saying it is full of “song, slapstick, and stories that will have you laughing so hard that you’ll have a hard time staying in your seat.” (The City Paper) The show brings you an honest and revealing adventure of one woman’s life that critics called “not only very funny—but celebratory in the most authentic sense.” You will share her experiences of redemption, grace, forgiveness and healing as she involves you in the most precious moments of her life as directed by Broadway veteran, Maida Libkin. Ms. Vandervort-Cobb uses “her incredible talent for voices and faces” to “fill the stage” with characters from her past. She displays in “lightning-fast, back-and-forth dialogue” that “is astonishing” (Post and Courier) how these men and woman have shaped her into the irreverent, comic and compassionate woman that she is. The show is slated for 7:30pm, March 24, 2011 at the Church of Our Savior on Johns Island. See the Preview section's photo story!